FOSDEM is one of the largest gatherings of Free Software contributors in the world and happens each year in Brussels (Belgium) at the ULB Campus Solbosch. In 2018, it will be held on Saturday, February 3, and Sunday, February 4. As usual, the Open Document Editors DevRoom will be jointly organized by Apache OpenOffice and LibreOffice, on Saturday, February 3 (from 10:30AM to 6:30PM, room AW1.120). The shared devroom gives every project in this area a chance to present ODF related developments and innovations. We are now inviting proposals for talks about Open Document Editors or the ODF standard document format, on topics such as code, localization, QA, UX, extensions, tools and adoption related cases. This is a unique opportunity to show new ideas and developments to a wide technical audience. Please do keep in mind, though, that product pitches are not allowed at FOSDEM. Length of talks should be limited to a maximum of 30 minutes, as we would like to have questions after each presentation and to fit as many presenters as possible in the schedule. Exceptions must be explicitly requested and justified. You may be assigned LESS time than you request. All submissions have to be made in the Pentabarf event planning tool: https://penta.fosdem.org/submission/FOSDEM18. While filing your proposal, please provide the title of your talk, a short abstract (one or two paragraphs), some information about yourself (name, bio and photo, but please do remember that your profile might be already stored at Pentabarf). To submit your talk, click on “Create Event”, then make sure to select the “Open Document Editors” devroom as the “Track”. Otherwise, your talk will not be even considered for any devroom at all. If you already have a Pentabarf account from a previous year, even if your talk was not accepted, please reuse it. Create an account if, and only if, you don’t have one from a previous year. 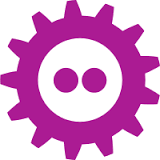 If you have any issues with Pentabarf, please contact ode-devroom-manager@fosdem.org. The deadline is Monday, December 4th, 2017. Accepted speakers will be notified by Monday, December 11th, 2017. The schedule will be published by Friday, December 15, 2017. The talks in the Open Document Editors DevRoom will be audio and video recorded, and possibly streamed live too. In the “Submission notes” field, please indicate that you agree to have your presentation recorded and published under the same license as all FOSDEM content (CC-BY). For example: “If my speech is accepted for FOSDEM, I hereby agree to be recorded and to have recordings – including slides and other presentation-related documents – published under the Creative Commons Attribution (CC-BY) 4.0 International License. Sincerely, Name”.